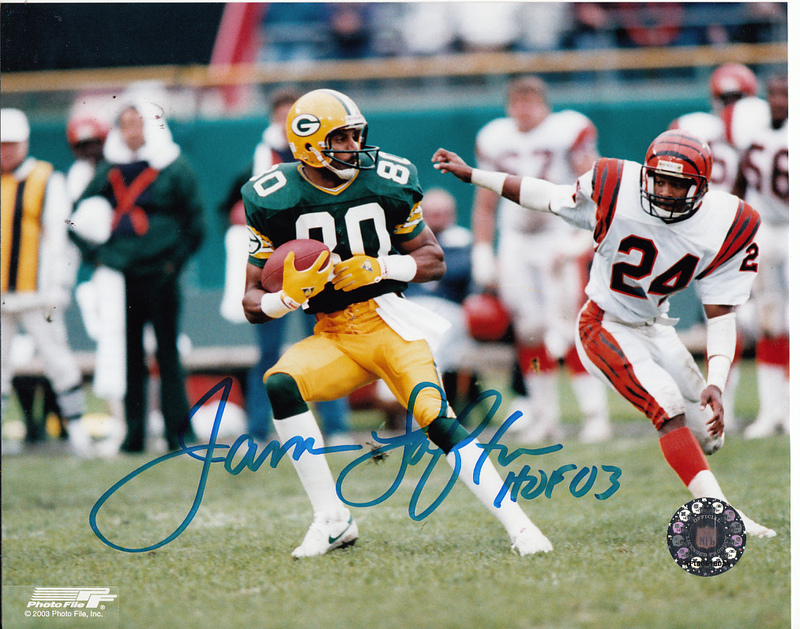 Green Bay Packers 8x10 action photo autographed in blue marker by Hall of Fame wide receiver James Lofton and inscribed HOF 03. Obtained in person. With certificate of authenticity from AutographsForSale.com.